In today’s increasingly competitive, saturated consumer goods market, brand loyalty is more elusive than ever. Yet marketing messages can only take you so far: what makes a first-time buyer into a long-time customer? The answer lies in customer rewards that are engaging, simple and add real value. Here’s how Shping can remove the friction of rewards programs and keep customers coming back for more. So why is rewarding a customer so important? Repeat customers are one of a brand's most valuable assets. Consider this: it costs a business roughly 5-25 times more to acquire a new customer than it does to sell to an existing one. These repeat customers are also spending more than new customers: up to 67% more, in fact. It's clear that customer rewards schemes end up paying for themselves. The question is, how do you craft a reward scheme that inspires purchase decisions? The psychology of rewards schemes is simple: give customers rewards for certain behaviours, and they'll have incentive to continue these behaviours. But what makes some rewards schemes more successful than others? Some customers may crave one reward, but ignore another. The key is to provide value in a meaningful, frictionless way, no matter where the customer shops. Shping helps brands remove the rewards scheme middleman: forget complicated social media campaigns and unwieldy discount codes. With Shping, brands can directly reward the shopper at the point of purchase: whether they're shopping in a service station, a supermarket or a corner store, consumers can enjoy direct rewards on-the-go. With any rewards program, the delivery and communication of the rewards is as important as the reward itself. If there isn't a direct correlation between a customer's action and the reward they receive, you immediately lose the power to influence their purchase decisions. 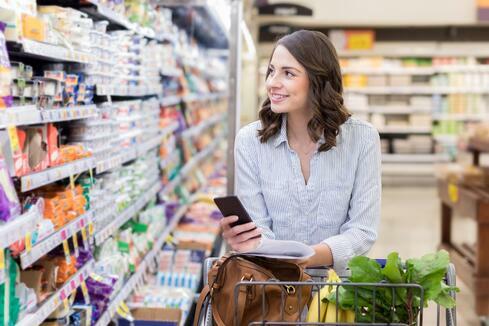 What's more, if a rewards program is too complicated or convoluted for a consumer to easily incorporate into their daily routine, many shoppers simply won't bother. Shping removes the friction of rewards schemes by making it simple to communicate and deliver incentives to consumers with minimal interruption., What's more, Shping allows brands to tailor a range of different rewards to shoppers depending on how many times they've scanned a product. That helps keep rewards scheme fresh, and keeps customers engaged and interested at the point of purchase. So why is it important to mix up the types of rewards you offer? You won't please every customer with the same incentive, and having different rewards on offer may motivate people to work harder when there are a variety of prizes to be earned. Gamifying the process can also drive results. From getting the kids involved in the weekly shop, to making an often mundane chore more interactive, rewards programs that engage the consumer will keep them coming back for more. Shping gives brands the functionality to create a range of different rewards schemes tailored to different consumers, making the experience more engaging and personal than a static advertisement could ever be. Any company can offer promo codes and buy-one-get-one free discounts if they want to, but brands that provide value to customers with more than just freebies have the chance to cultivate lasting brand advocates. To truly understand your customers, you need to understand their values and worldview. Connecting with a customer around these shared values can mean the difference between a one-time shopper and a loyal brand champion. Shping helps you incorporate aspects of your core brand values into your rewards offerings, then communicates this brand story directly to shoppers in-store, at the point of purchase. Engaging customers in such a personalised way is the key to building rewards scheme that inspires purchases in the short-term and cultivates lasting customers in the long-term. If you're looking for a way to connect with and reward your customers directly, subscribe to our mailing list to keep up to date with the latest Shping updates, offers and announcements.